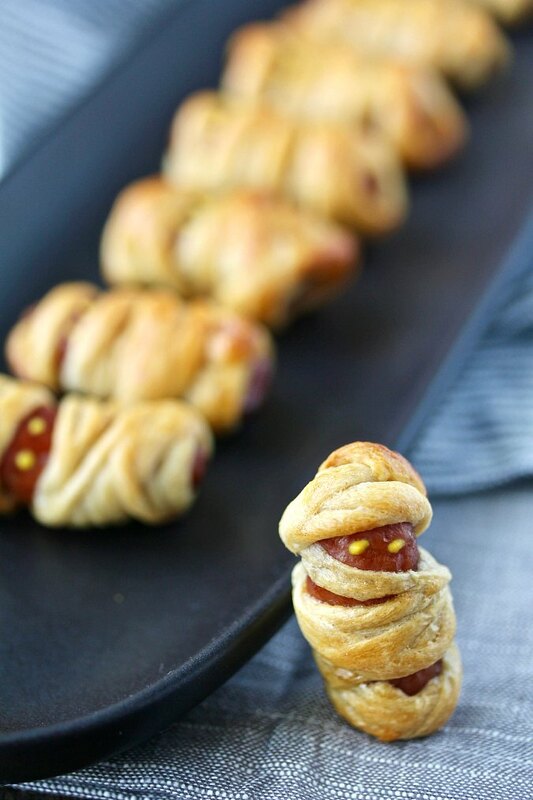 Mini Mummy Dogs, little smoked sausages wrapped in crescent roll "bandages" for your Halloween party. This post and recipe were created for #HalloweenTreatsWeek! 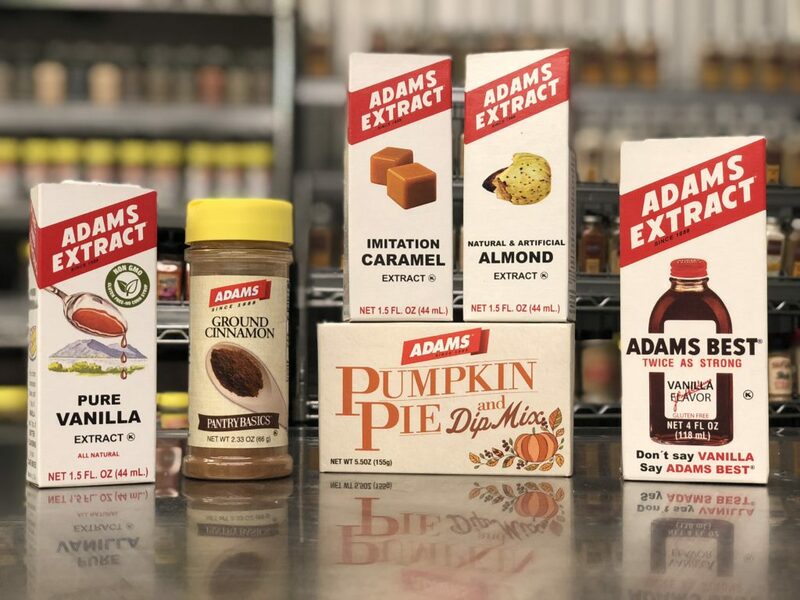 I was sent samples by some of the sponsor companies but, as always, opinions are 100% mine. 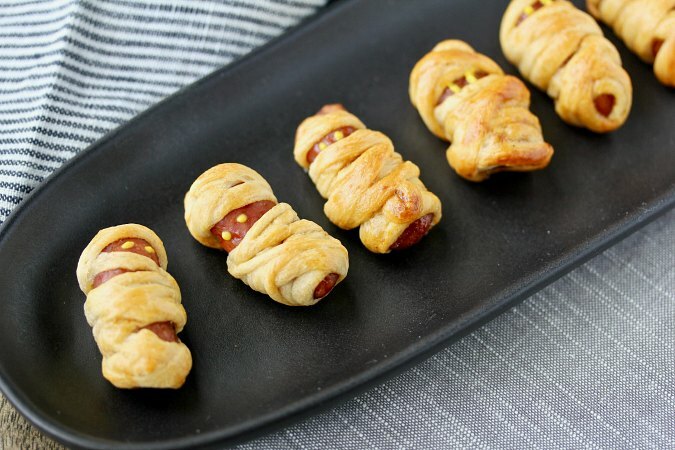 These mini mummy dogs are just so fun and easy to make and will probably be the most popular item on your appetizer tray at your Halloween party. Basically, all you need is a package of Lil Smokies, a package of Pillsbury Crescent Rolls, and, if you're so inclined, some spicy barbecue sauce.... and if you don't count the mustard eyes, it's a three ingredient recipe! Don't they look so cute! I showed these to my 14 year old grandson, and he actually said "awwww!" To make these, you use a pizza wheel to cut strips from the rolled out crescent dough and wrap it around the sausages, leaving a small gap for the eyes. To make the eyes, just dip a toothpick into some mustard and add two dots to the opening. 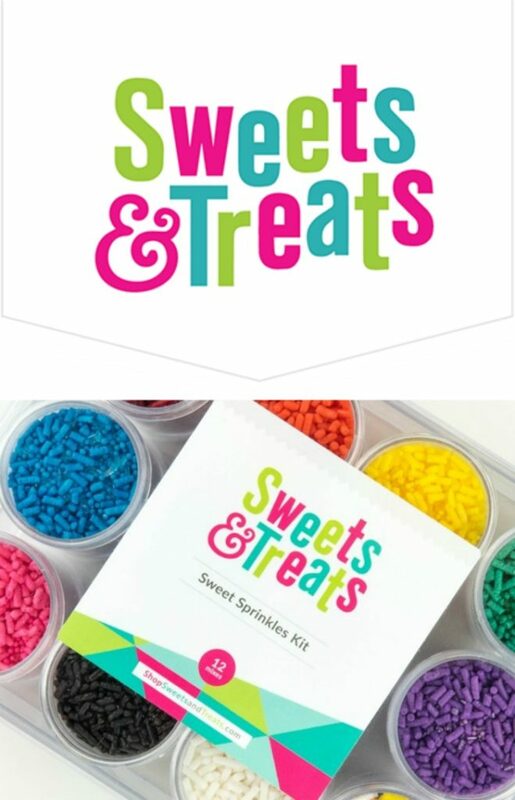 These are totally pop-able and tasty. They are easily made ahead and reheated in the oven, so you can bring them to a Halloween potluck or serve them at your own party. 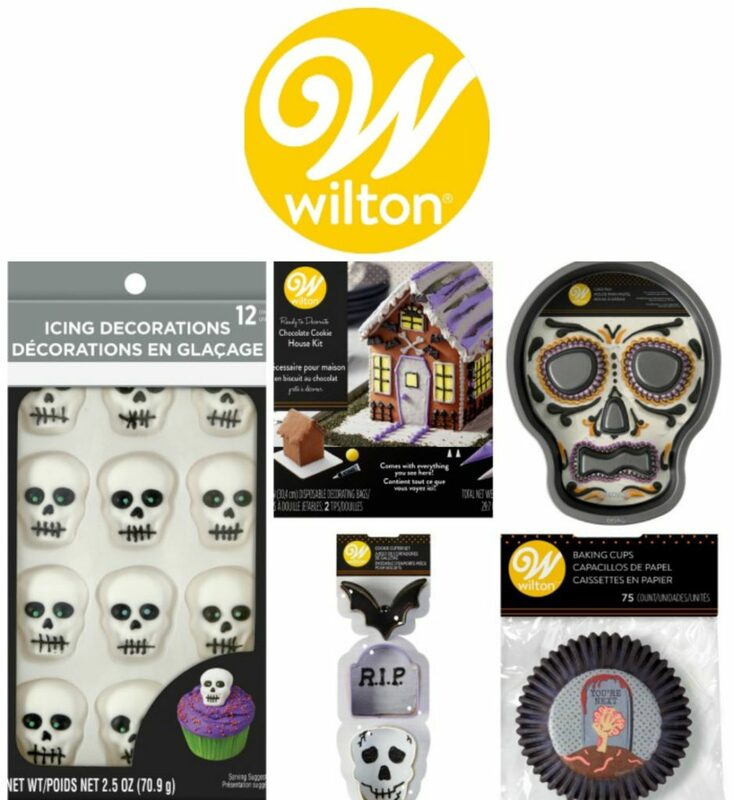 Today is the last day of Halloween Treats Week, which means you have just a few hours to enter to win some pretty cool prizes. 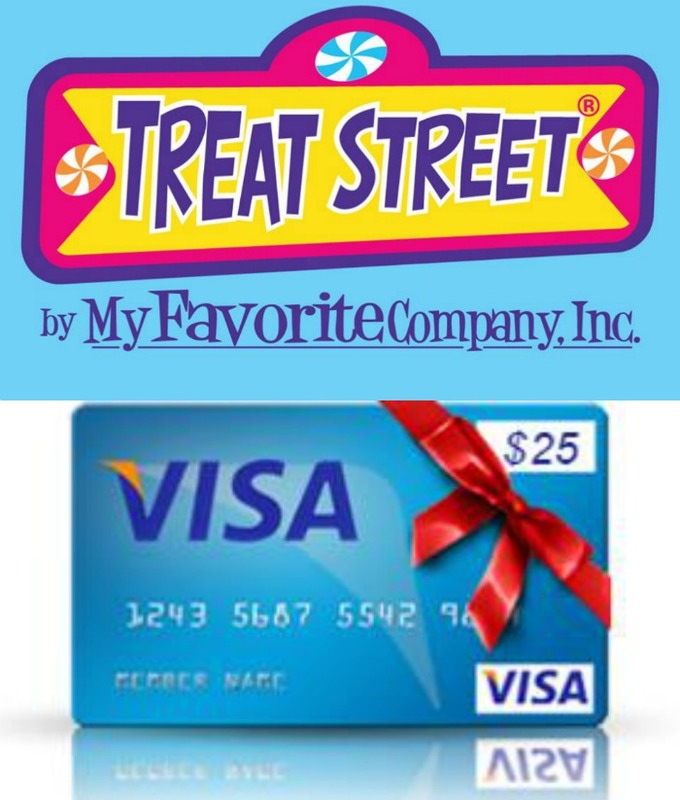 Be sure to scroll down to enter, as well as see more amazing Halloween recipes. Heat the oven to 375 degrees F. Line a baking sheet with parchment paper. Toss the sausages in the barbecue sauce. Open and unroll the crescent roll dough and create rectangles with the dough by sealing the seam of the triangles. Using a pizza wheel, cut 1/4 inch thick strips of the dough. Stretch the dough to double the length, and wrap it around the sausage as pictured, leaving a small opening for eyes. Place them on the baking sheet. Whisk the egg with a tablespoon of water and a pinch of salt. Brush the wrapped mummies with the egg wash.
Bake the mummies for about 10 to 15 minutes, until golden. Remove from the oven and let cool slightly. Dot with the mustard for the eyes and serve with the ketchup and mustard. you are blogging one winner after another! Anything with hot dogs is delicious in my book. And I could totally devour a batch of these. So delicious. 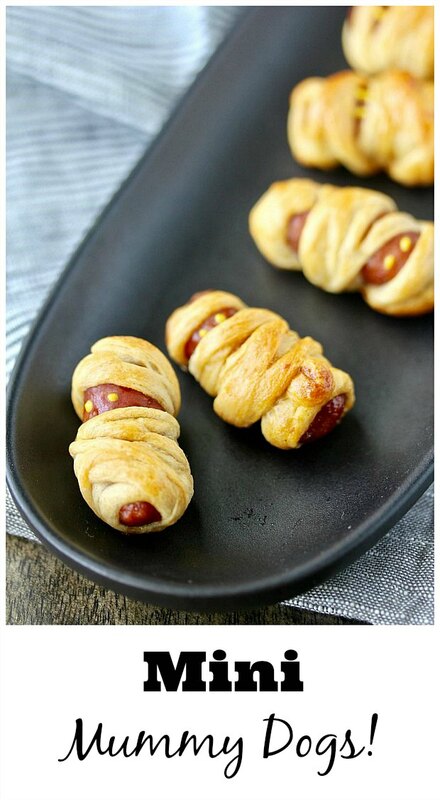 These sound like the best Halloween finger food! !